I met author and media diva Tracy Bickhaus through the Seattle chapter of Ladies Who Launch. 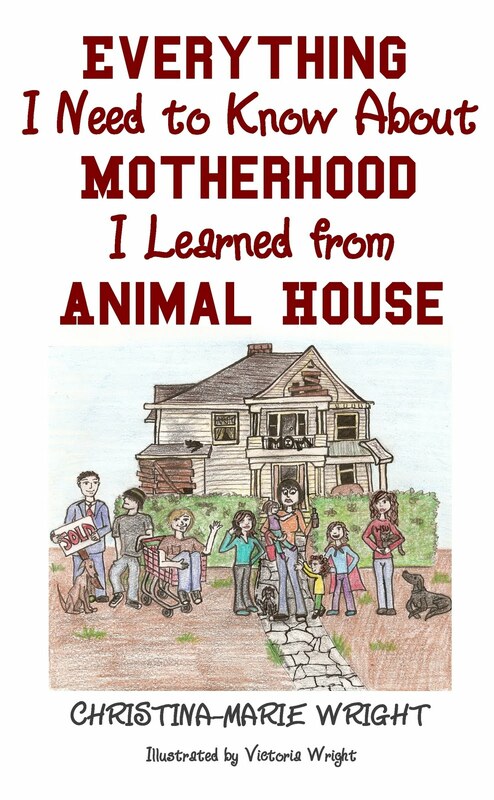 The group was doing a presentation on publishing, and I had a little booth (actually it was more like a throne, and I had the tiara to pull it off, thanks to the Divine Miss Teri B) from which I hawked copies of Everything I Need to Know About Motherhood I Learned from Animal House. The event was crowded; things moved quickly, and there wasn't much time for one-on-one conversation, but I collected a bazillion business cards and cultivated great friendships through Facebook afterward. You may remember Tracy from her 20 Questions segment. Please note her answer to question #17... It's safe to say Tracy's dream has come true with the debut of Super Blake and the Cavity Monster! All done? Wasn't it amazing?! Now, let me introduce you to Blake. Anyone can be a superhero! It's about making excellent choices and believing in yourself. As Blake points out in his first book, "You are what you say, and what you do." So, what happens when an otherwise regular kid makes amazing choices and does the right thing? Well, with the addition of a cape and a pair of tights, he becomes... SUPER BLAKE!... and cruises through his days helping others and making a difference. When the Cavity Monster and his sidekicks, Ginger Vitis and Sir Plaque, attack, the entire city is threatened with tooth decay and other dental disasters. Thankfully, Super Blake knows what to do, because he listened to his parents and dentist. 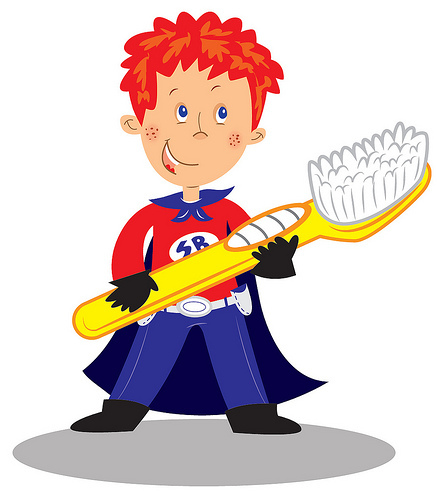 In short order, Super Blake saves the day by rallying the city's denizens and showing them how to defeat the Cavity Monster, Ginger Vitis and Sir Plaque on their own, each and every day. The illustrations in the book are bright, eye-catching, and brilliantly crafted by Korey Scott. In fact, they look like they're straight out of a Nickelodeon cartoon storyboard. 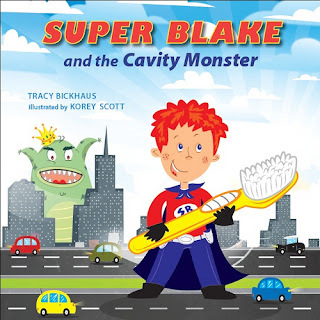 Your kids will love Super Blake, and I can almost guarantee they'll want to run off to brush their teeth afterward (Curlytop and Snugglebug did!). This book is, in my opinion, well-suited for toddlers to first-graders. Your kids will love it! In the interest of disclosure, Tracy sent me a copy of Super Blake and the Cavity Monster to review and give away, but Curlytop and Snugglebug claimed the review copy because they love it so much. I'll be purchasing another copy and having Tracy hold it and ship it to the winner. That's THIRTEEN (lucky 13) chances to win, so get to it! I'll be tallying the entries for each participant, then randomizing the list with http://www.random.org/lists/ and selecting a single winner using http://www.random.org/integers/. Entries will close at midnight on April 28th. Good luck!